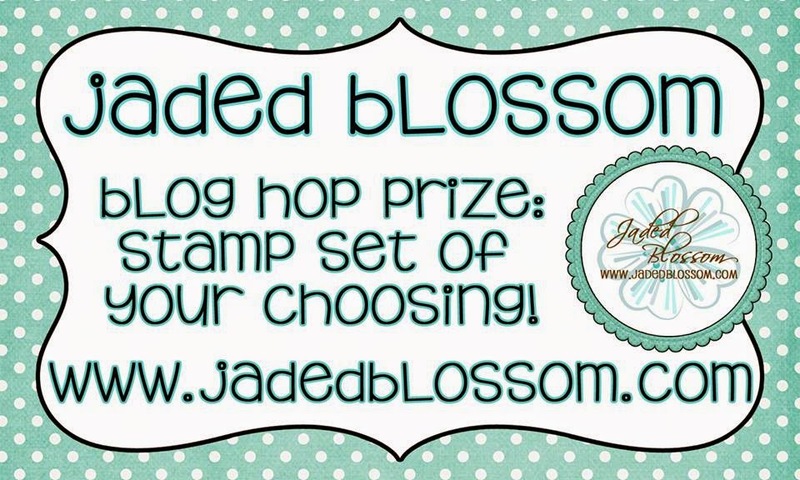 Welcome to Jaded Blossom's April 2015 Release Blog Hop. Now if you're here from Mel's Blog you're in the right place, if you're just passing through start at the beginning because you don't want to miss a thing. I also have the complete line up at the bottom. Here is what I made! This new Trapezoid Box is from SVG Cutting Files. I decorated it with the new Jaded Blossom Tropical dies! I also used a sea horse file from SVG Cutting Files. 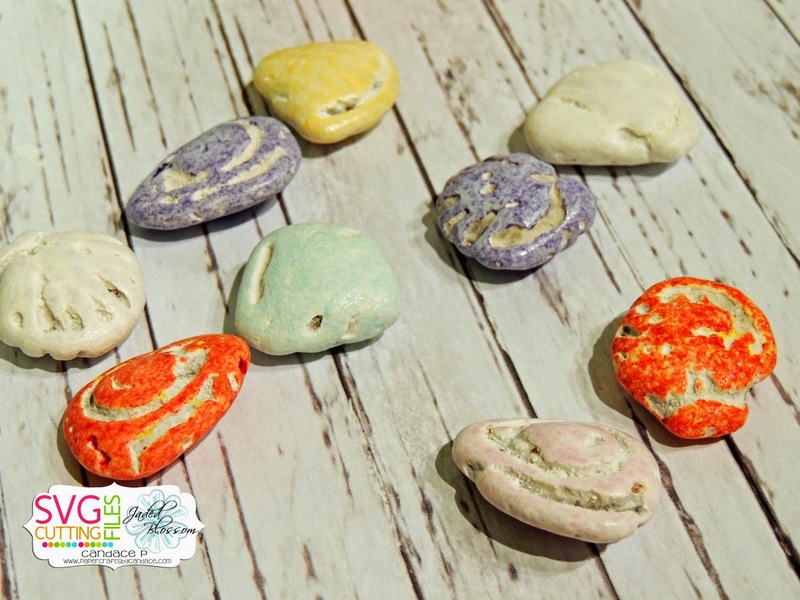 I found these awesome chocolate shell candies at my local candy store and they were perfect to go in my treat box. This would be such a fun tropical party favor. Here is a close look at the front. I LOVE the new sand border die!! Heres a look at the top. 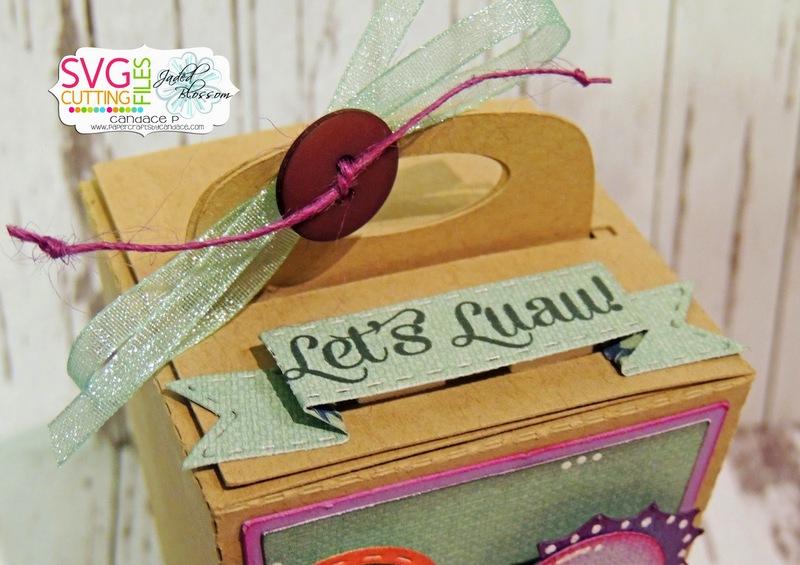 I used the new Dimensional Banner Dies and stamped using Aloha. Heres another look at the candy. You've made it to the end of the hop!! A baby seahorse......OMG!!! what is left to say. SOOOO precious. Fantastic! and that seahorse is adorable! and of course you always find such great candies! I am a sucker when it comes to treat boxes!! So very cute. So cute - this is fantastic! Cute treat box and great idea for a party. This is amazing! I love those little candies! so very cute love that candy !! and the little seahorse so cute ! so very cute and the candy was an awesome find!! Fantastic box! I love the candy you found too! What a wonderful treat box and you decorated it just amazing!!! 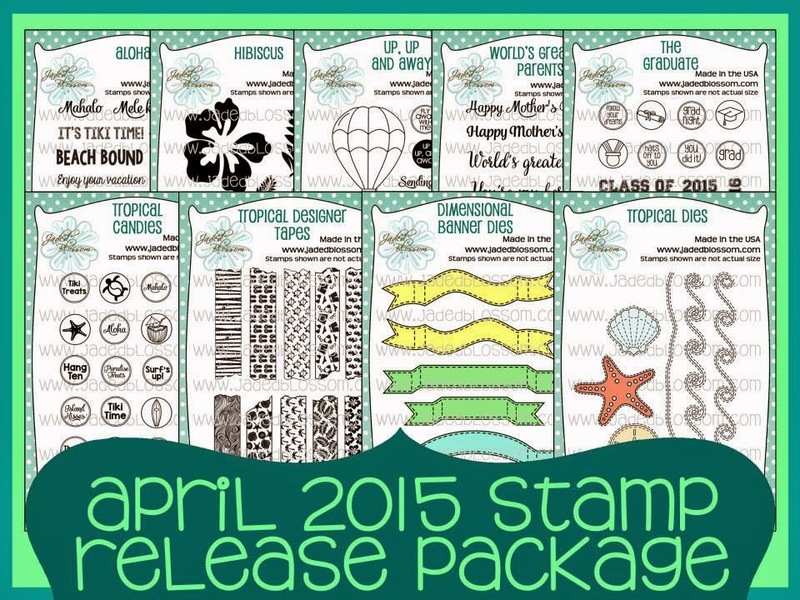 love the seahorse and fun design! That candy looks really interesting!! I am sure it tastes yummy! Great job on all your projects this week! Fantastic release! I love this box! I have enjoyed following your creations all week! LOVE LOVE LOVE this! 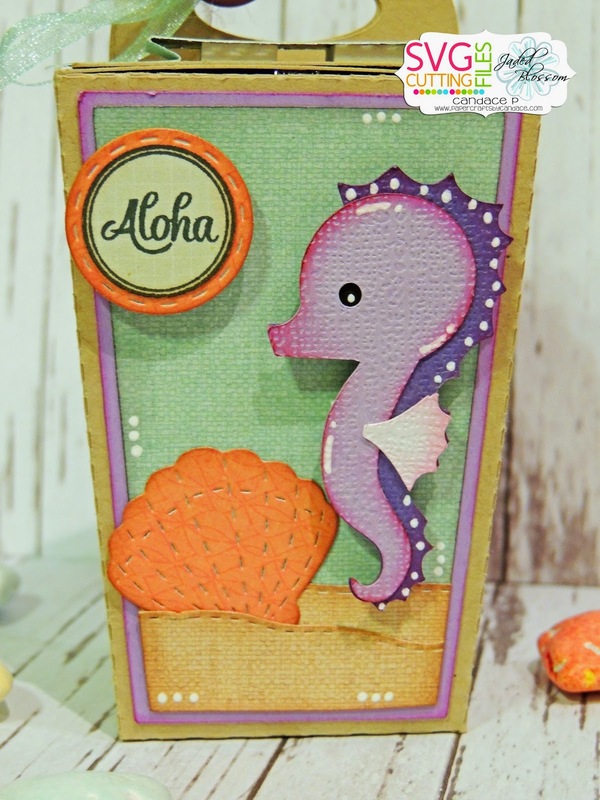 I have a soft spot for seahorses and this treat is TOO CUTE! Perfect colors and candy too! Love the sea horse. Your candy was a perfect find for this box. It's awesome. Beautiful use of colors. Love it. That's really cute. 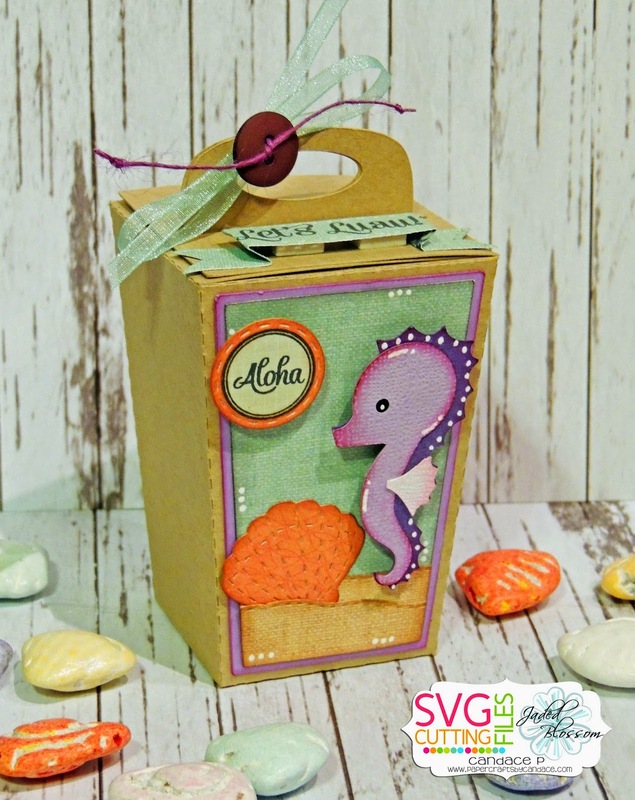 I like the unique shape of the box, and that seahorse is adorable! 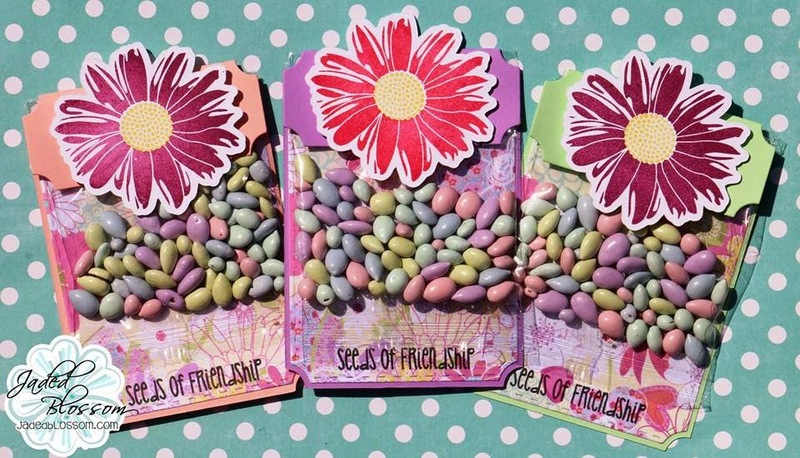 Love your fun treat box and all the new releases! WOW! Such a pretty sweet treat!! That seahorse is so adorable! 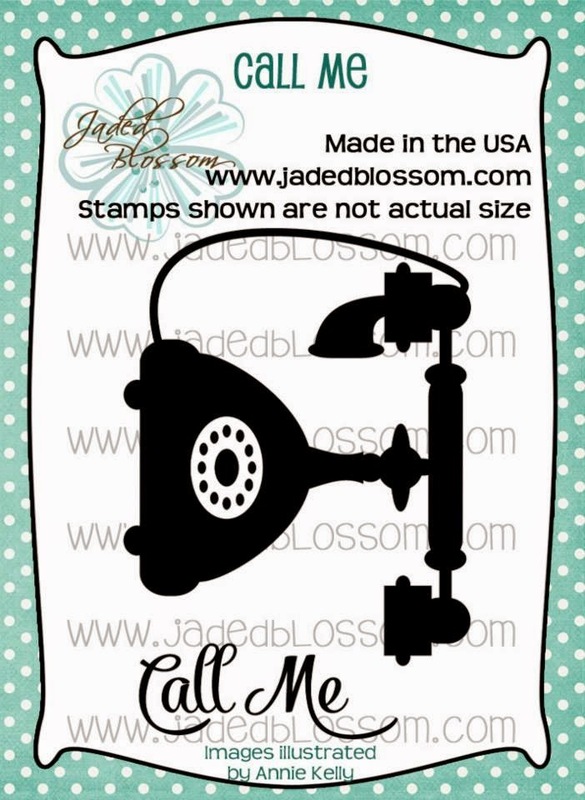 I love the new stamps and dies. You did an amazing job on the boxes. Great Treat!! Cute seahorse treat box and perfect candy. Cute! Love the little scene you created. Fun!